We don’t call our travel trips ‘Yoga Retreats’ – they are not that serious – we call them Journeys. 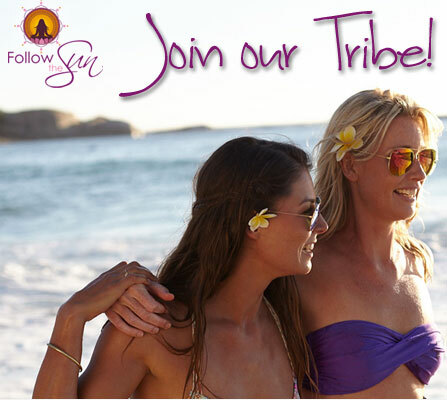 It is a holiday where we literally follow the sun to relax, eat, play, yoga and connect with other inspiring women who are creating their own sunshine! Our international Yoga Journeys all include various fun activities to learn more about the local culture, enjoy local food (and perhaps enjoy a glass of wine or cocktail or two) as well as spending time in nature, doing yoga in exquisite locations, relaxing on the beach, sharing Inner Zen Inspiration moments with like-minded women, and journalling or having ‘me’ time to connect with yourself. These journeys have been organized with fun and freedom in mind, with a gentle approach to finding your own version of yogic enlightenment.